Sir Jack Brabham was honored at the annual Goodwood Revival in England, friends and family of the Australian legend joining organizers in commemorating 50 years since his third and final Formula 1 World Championship, which was won in a car he designed and built. The three day historic motorsport event featured daily tributes to Sir Jack with over 30 cars from throughout his career being gathered at Lord March’s Estate, along with many of those who were both friends and rivals. Sir Jackie Stewart, John Surtees, Sir Stirling Moss, Jacky Ickx and the like were joined by Jack’s Le Mans 24 Hour winning sons, Geoff and David, their wives Roseina and Lisa and Grandsons Matt, Sam and Finn – along with many collectors from around the world who have lovingly restored Sir Jack’s cars. Historically, Lord March’s Goodwood Estate was the first track that Jack and all of the second generation Brabhams turned their first laps upon arriving in the UK from Australia. It is also Sir Jack’s final resting place, with his ashes being spread by the family in 2014 at the Estate. The final day of the Revival saw Geoff, David, Matt and Sam take to the wheel. 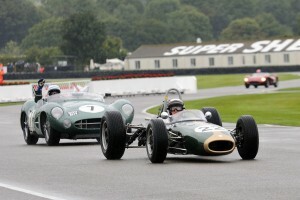 Geoff and Matt in a pair of 1960 Coopers, David in an IndyCar and Sam in a Cooper Monaco Sportscar. The family was then honored with a presentation from Lord March in association with Credit Suisse commemorating the 50th anniversary of Sir Jack’s third Formula 1 World Championship. “We’ve had an awesome time at Goodwood and it was amazing to see so many cars from Dad’s (Sir Jack) career turned out in such amazing fashion,” said Geoff Brabham. “To end the weekend with all of us driving in the Brabham parade was a fitting way to end what has been a marvelous experience. 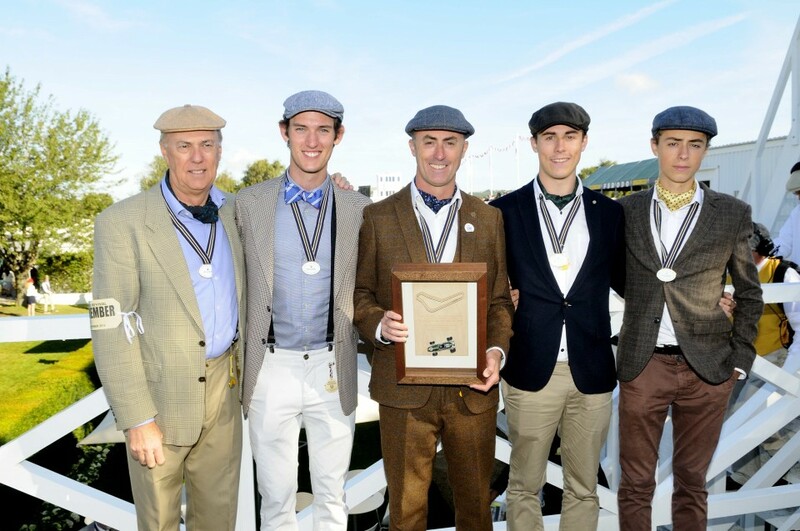 Third generation star, Matt Brabham – who made his Indianapolis 500 debut this May for PIRTEK Team Murray – was left speechless by his first attendance to the annual Revival. “I’m completely blown away by the Goodwood Revival. I couldn’t have ever imagined it being as spectacular as it really is,” said the 22-year-old. “It was very cool to see so many people sharing a love for motorsport and its history in one place. where Matt will next weekend take part in the Stadium Super Trucks races at the Sand Sports Super Show in Costa Mesa, CA. Driving the TRAXXAS Stadium Super Truck, he leads the North American Series by seven points and is second in the overall and Australian Series.